Apache's goal is to offer total transparency across our operations. The Apache plant site is an EPA Superfund site, and as such we maintain a comprehensive reporting database to demonstrate ongoing adherence to strict regulatory parameters. 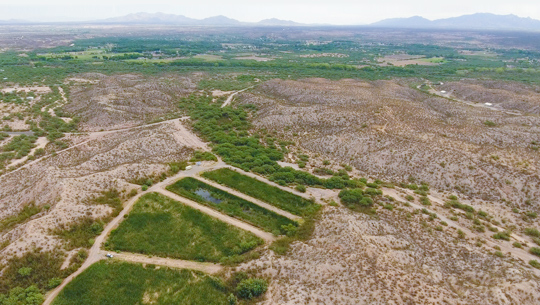 The Environmental Protection Agency (EPA), and the Arizona Department of Environmental Quality (ADEQ) have recognized our remediation efforts for their consistent quality and thoroughness. To date, our purpose-built wetland has been a great success, having treated over 800 million gallons of water as part of our denitrification process. Apache is committed to the future – consider the inclusion of new green technology, like solar power, for example — and in some cases, Apache is actually defining new standards for the nitrogen industry. As evidence of our regulatory cooperation and accessibility, the menu at the right will link you to a series of reports detailing our efforts, and our good standing with the EPA as a Superfund site. © 2019 Apache Nitrogen Products, Inc.